I am very grateful for McGovern Institute supporters, whose generosity provides the crucial means for me to study and do research at one of the best neuroscience institutions in the world. Understanding the brain is among science’s great frontiers and key to developing new cures for some of our most intractable diseases. As one of the world’s top brain research centers, the McGovern Institute is leading the way to a new era of knowledge. We can only make progress with the support of those who share our goal. 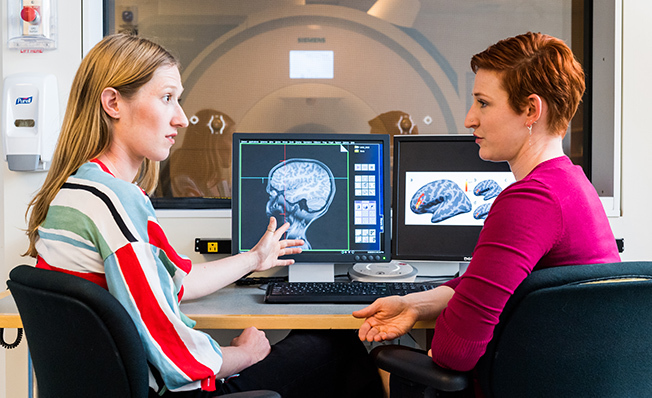 The impact of philanthropic support for neuroscience cannot be overstated—it is central to our mission of understanding the brain in health and disease. Neuropsychiatric disorders are a leading contributor of years lost to disability amongst diseases/disorders. Almost 1 in 5 US adults are diagnosed with a mental illness of some form. Government support for research fell below 50%, compared to other sources, for the first time in 2013. 5 of the top 20 disorders contributing to the global burden of disease are mental illnesses. Cost of a CRISPR plasmid, a circle of DNA carrying the gene for cas9-mediated editing. Cost of single cell-sequencing kit that preps cells for gene expression profiling. Many individuals, families, corporations, and foundations make up the McGovern Institute’s diverse community of giving. Our supporters include families whose lives have been touched by devastating brain disorders and individuals who find the enduring mysteries of the brain worthy of curiosity-driven science. 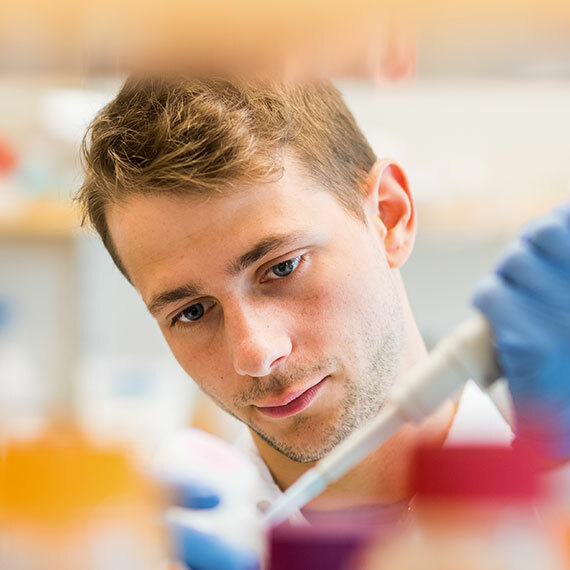 The McGovern Institute values all philanthropic investments, big or small; together, all gifts catalyze novel research and support fellowships for tomorrow’s brightest neuroscientists. This fund supports research on depression, schizophrenia, anxiety disorders, and other psychiatric conditions. This fund supports research on autism, dyslexia, and other developmental disorders. This discretionary fund allows the Institute to more rapidly target funds to new opportunities as they arise. This fund supports research on Parkinson’s disease, Alzheimer’s disease, brain injury, and other neurological conditions. Research fellowships provide stipend support for young scientists at the critical early stages of their research careers. This fund supports research on hearing impairments and other sensory deficits. For any questions about giving, please contact Kara Flyg.